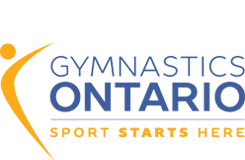 The competition program of men’s artistic gymnastics consists of 6 routines: floor exercises, pommel horse, rings, vault, parallel bars and the horizontal bar. Floor exercises are performed on a 12×12 meter mat without musical accompaniment. Men’s routines are characterized by a sequence of linked elements that demonstrate simultaneously strength, flexibility, and balance. Each exercise consists of movements which combine a number of elements, such as somersaults, handstands, and rotations. The execution and the configuration of the exercise must express a personal flair. The whole surface of the floor must be used. The maximum time allowed for an exercise is 1 minute and 10 seconds. The Pommel Horse is 1.15 meters high and has two handles (12 centimeter pommels) attached to the apparatus body, set 40 to 45 cm apart. The routines make use of the full surface of the apparatus and present a succession of circular and pendulum-type swings, leg circles, scissors movements, and handstands. The rings hang from a structure at 2.75 meters above the ground. Ring routines should include swings and handstands to emphasize muscle strength. The program must end with an acrobatic dismount. The vaulting table requires clean and powerful movements that combine height and length with one or more rotations, ending with a well-controlled landing. The level of difficulty determines the value of a vault. Marks are also awarded for the body control and the landing position. Approach run, 25 meters; table height, 135 cm. Like the rings, the parallel bars, 1.95 meters in height and 3.50 meters in length, require a combination of swinging movements, swings, and handstands demanding strength. The gymnast must travel the full length of the apparatus and work on the top of the bars as well as below them. The horizontal bar is 2.40 m. wide and 2.75 meters high. In this routine, the gymnast performs continuous and clean swinging movements and must not touch the bar with his body. He is required to demonstrate changes of grip, swinging movements both forward and backward, with releases and regrasps of the bar. Dismounts are an important part of the total routine and are usually acrobatic and spectacular.